A handful of years ago, my husband and I decided to get a divorce. The sadness I felt was unimaginable and I was paralyzed with grief. I knew I needed to find purpose in my life as getting out of bed was a treacherous chore. In typical Dori fashion I decided that only an excursion along the Pacific Crest Trail would do. From the Mexicali border all the way to Washington state in the north, I would find a new purpose, with new dreams to conquer in every step of the way. I spent hours researching the needed resources and presented my plans,convincing friends to journey with me on different legs of the trip. It would take all 2500+ miles to come to peace and close the door on my shattered reality. I remember sitting at lunch with my brother as the first thoughts of doubt began to creep in. He and his friend heckled the idea of trekking with me across the Mohave desert and presented the absurdities of my trip. For goodness sake I was serious!! I then learned of two girls killed in Oregon while hiking along the trail, then another. Maybe this wasn’t such a good idea after all and the guidebook and paper trail of notes remain on a shelf to this day. Recently, while strolling through a store, a byline from a book elevated itself from its cover. From Lost to Found on the Pacific Crest Trail. 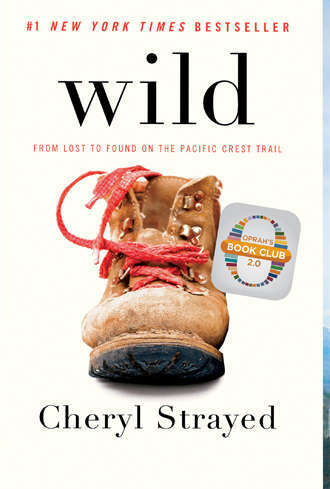 It is about a woman whose mother had died, had gotten divorced and impulsively decided to hike the Pacific Crest Trail. 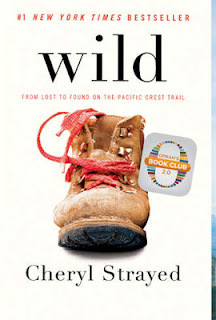 Cheryl Strayed had wrote my book! An Oprah book club selection, a New York times bestseller and stealing the words right off the cover, “a literary and human triumph.” How would I resist reading the book I’d never again have the opportunity to write. It’s easy to place myself in her shoes as she shares her experiences. The candor of her writing is admirable and sometimes startling as the story unfolds. Wild is a memoir of one woman’s amazing journey not only along the PCT, but through her life at the time and the needed journey to redemption. I have laughed, I have cried and I have cringed as she used the ‘F’ word yet again in her writing. She shares intimate details of her broken life and her journey along the trail. It’s exactly what I wanted to do years ago,but didn’t. It’s easy to ponder the path my life would have taken if I too had decided to hike the Pacific Crest Trail those many years ago. I would have healed much faster. I would have overcome the pain sooner…. And I never would have ended up pregnant staring divorce in the face prolonging the inevitable painful decision. (The scariest thing I’ve yet to experience.) Cheryl and I have many remarkable similarities within our stories but many differences abound. One being that of the decision we both made that ultimately helped me overcome the sadness I did feel without ever hiking the trail. The opportunity that instantly gave me purpose and the reason to get out of bed. The journey that would lead me well beyond 2500 miles and give me purpose for more than the expected 18 years. Go an get Wild. It is indeed “a literary and human triumph” that may just inspire you to do things you never imagined you could.